TSMC, semiconductor manufacturer to the stars, is taping out its first 5nm chip design in the first half of 2019. Production is set to spool up not long after, with the fabrication giant in charge of producing most of AMD and Nvidia’s CPUs and GPUs set to shift its EUV-augmented 5nm process into overdrive in 2020. TSMC’s CEO told investors that it plans on taping out 5nm chips – the process of finalising IC designs before they are sent to manufacturing – before the end of the first half of 2019. This process node will utilise EUV to manage the dense node shrink and maintain profitability. TSMC’s current 7nm node, at the core of AMD’s 3rd Gen Ryzen CPUs, is currently its most profitable node despite only recently going into full production. TSMC is likely keen to convince investors that its recent success will continue uninterrupted as it keeps on pushing the boundaries of Moore’s Law. The company’s forecast for this coming year has been sharply cut due stunted smartphone demand worldwide. Some of TSMC’s biggest clients, outside of the gaming sphere, are the likes of Apple, Qualcomm, and Huawei. But despite this downturn, the company is still expecting greater interest in its current 7nm node going forward. Most of these customers, TSMC expects, will flock over to 5nm once that’s up and running, too. “All applications that are using 7nm today will adopt 5nm”, TSMC CEO Wei says. “We expect more applications in HPC (high-performance computing) to adopt N5”. AMD announced it was tapping TSMC’s 7nm node last year after GlobalFoundries, it’s long-time foundry partner and ex-subsidiary, put an end to its efforts furthering development into advanced nodes. The first products from team red to utilise TSMC’s 7nm process are the machine learning MI60 and MI50 GPUs, Radeon VII, and the incoming 3rd Gen Ryzen and EPYC processors. That leaves AMD in the advantageous position of one step ahead of Intel in the process node density race. Intel is still on 14nm, with 10nm on the way for the holiday period. TSMC’s rapid R&D and rollout could strengthen AMD’s position for years to come. 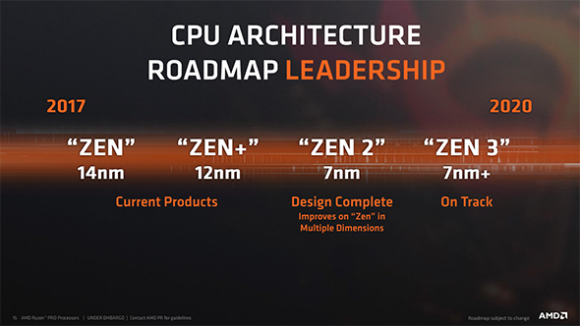 According to its current roadmap, AMD is set to produce Zen 3 on the 7nm+ node sometime in 2020, meaning Zen 4 would be the first to take up the 5nm mantle. 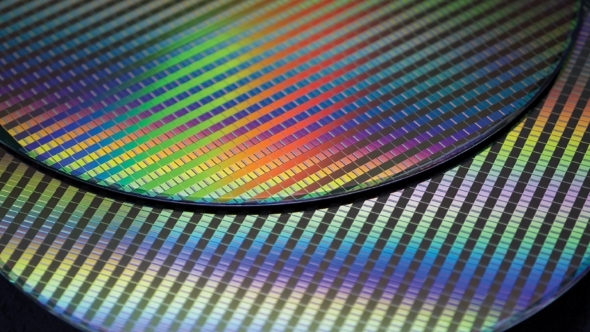 TSMC is expected to spend 80% of its capital expenditure on 7nm, 5nm, and 3nm foundry tech. Nvidia is also expected to utilise TSMC’s 7nm tech for its next-generation of graphics cards. At the moment it utilises the 12nm process node for its Turing architecture 20-series graphics cards. Despite Intel’s 10nm slowdown, it is reportedly on track for 7nm in the years to follow. It is investing heavily in new facilities across the globe, with its advanced process node facility in Oregon receiving a large wad of cash to expand. Even so, TSMC has the upper hand when it comes to density alone – not that Intel would have you believe this is anything but a marketing ploy – and looks like the Taiwanese pure play foundry will continue to do so going into 5nm and 3nm, too.